Deaths from infectious mosquito-borne diseases such as dengue and chikungunya are on the rise in India, with an uptick in infections since the beginning of September. 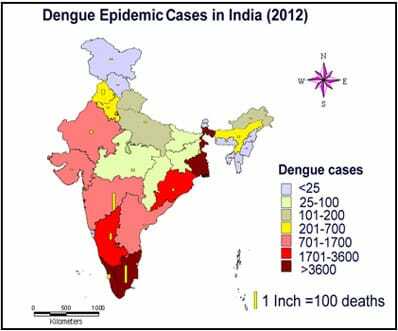 Seventy fatalities from dengue are reported across the country, including eighteen deaths in Delhi where there are 1,158 infections according to a Times of India report, citing data from Municipal Corporation and the All India Institute of Medical Sciences (AIIMS). The National Vector Borne Disease Control Programme (NVBDCP) has placed infections at upwards of 36,000 nationwide. 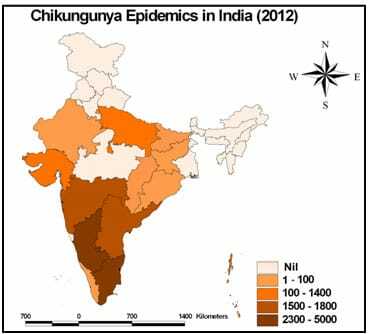 Chikungunya has had a lesser though still profound impact, with 14,656 infections nationwide, including 9,427 incidences in the state of Karnataka alone. These figures come in the wake of an interjection by the World Health Organization (WHO), which has implored India to engage with the private healthcare sector in an effort to better combat both dengue and chikungunya. The WHO has also called for investments into disease surveillance programmes to enhance their efficiency and efficacy, including the use of innovative technologies such as genetically modified mosquitoes.